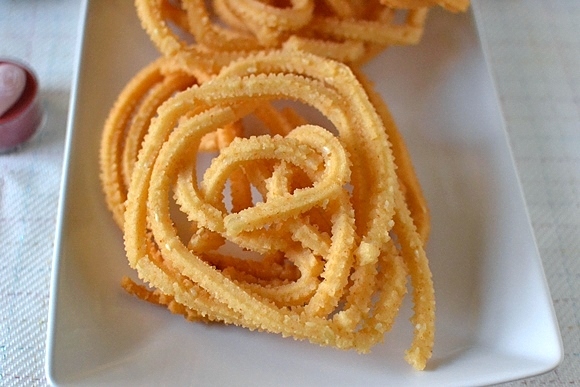 Murukku’s are often made during festival times and are a popular anytime snack. They are often served as side dish to rice dishes too. 1. Combine all the ingredients, except oil, in a large bowl. 2. Mix well until thick. 3. Add some of the dough to a murukku maker. 4. Heat oil in a deep frying pan. 5. Press the murukku maker over the hot oil and form concentric circles to get the murukku shape. 6. Fry until light golden brown and remove. 8. Serve as a snack or as a side dish. 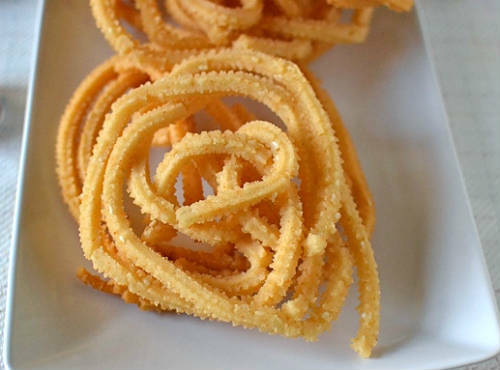 Feel free to comment or share your thoughts on this Potato Murukku Recipe from Awesome Cuisine.